ATTENTION THE DEADLINE FOR APPLICATION TO THE PsyD PROGRAM IS DEC. 1. ALL MATERIALS MUST BE RECEIVED BY THIS DATE FOR PRIORITY CONSIDERATION. CLICK THE LINK AT THE BOTTOM OF THE PAGE TO LEARN HOW TO APPLY! Accreditation: The program is accredited by the American Psychological Association [Commission on Accreditation 750 First St. NE, Washington, DC 20002-4242 Telephone: (800) 374-2721; (202) 336-5500 Email: apaaccred@apa.org]. The program has also been recognized as a designated program by the National Register/Association of State and Provincial Boards of Professional Psychology [National Register 1200 New York Ave NW Ste 800 Washington DC 20005 Telephone: (202) 783-7663; ASPPB PO Box 849 Tyrone, GA 30290 Telephone: (678) 216-1175 Email: asppb@asppb.org]. Marshall University is accredited by the Higher Learning Commission of the North Central Association of Colleges and Schools [230 South LaSalle Street, Suite 7-500, Chicago, IL 60604 Telephone: (800) 621-7440 Email: info@hlcommission.org]. The primary objective of this program is to prepare doctoral-level professional psychologists to develop, provide, supervise and evaluate high quality mental health services for citizens of rural and other under-served communities. Through coursework, extensive field training and research experience, our goal is to prepare highly skilled generalists in professional psychology who are sensitive to the psychological and health-related issues confronting this area and are prepared to serve the communities in this region. The program will lead to the Doctor of Psychology (Psy.D.) degree; this degree is recognized nationwide as reflecting a program with a primarily applied, professional focus. Graduates typically work in applied, service-oriented positions where they work directly with clients, as well as supervise and train other professionals. All prospective students should be aware that successful progress through the program will require a major commitment, including enrollment for coursework during each summer of their time in the program; see also the description of Residency Requirements below. Psy.D. Program Model and Goals: The philosophy of the program follows a practitioner-scholar model of education and training; consequently, graduates of the program are trained as practitioners of clinical psychology as an empirically informed field. Education and training within the program emphasize the importance of critical inquiry at all levels of clinical practice, including treatment planning for individual clients, assessment of program outcomes, and the design and execution of rigorous research. The program is dedicated to educating students for professional practice careers; therefore, the Psy.D. degree is offered. The program faculty has set forth several pertinent goals and objectives to be obtained by students during their time in the program. These goals and objectives are founded on the core competencies of clinical education and training stated by the National Council of Schools in Professional Psychology (NCSPP). The program exposes students to the following primary clinical orientations: integrative behavioral, cognitive behavioral, and psychodynamic. In the context of this exposure, we encourage each student to develop an orientation that is best suited to his or her style and situation. We endeavor to support students in their development, whether they prefer to remain eclectic or choose to invest in a particular theoretical orientation. The fact that the faculty represents a variety of orientations fits well with this model. Although the perspectives of clinical faculty vary, they share a common mission to provide education and training that is solidly grounded empirically. We also emphasize that multiple systemic and individual factors must be considered in developing a cooperative relationship between client and therapist that will ultimately lead to more positive life experiences for the client. There is a sharp focus on the impacts of community and culture from a biopsychosocial model of influence on human development. 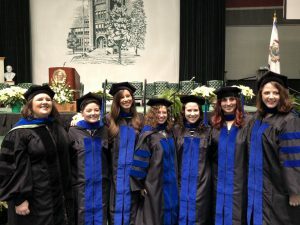 As such, the generalist orientation of the program serves as a model to students that the field of clinical psychology is as diverse as the human population it serves. 1. 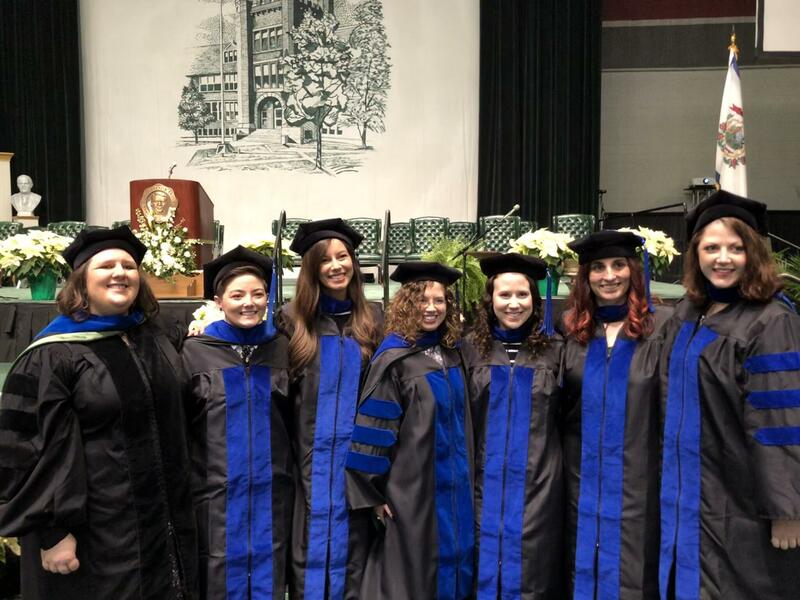 The primary goal of the program is to provide high quality graduate education and training in clinical psychology with an emphasis on the role of empirical knowledge as it pertains to clinical practice. As such, students will develop the specific competencies that are the foundation of the education and training model developed by NCSPP. Objective 1.1: Relationship competence: Students are expected to develop the ability to form productive partnerships with clients, peers, supervisors, faculty, and community members. Objective 1.2: Assessment competence: Students are expected to develop competency in clinical assessment as evidenced by knowledge of basic psychometric theory and sound test administration and interpretation skills. In addition, students should be able to demonstrate the use of sound assessment methodologies that allow them to describe their client as a fully functioning person, to plan a course of intervention, and to assess intervention outcomes. Objective 1.3: Intervention competence: Students are expected to demonstrate the ability to form a coherent, theoretically based, empirically-supported treatment plan that is refined during the course of intervention. Objective 1.4: Research and evaluation competence: Students must demonstrate the ability to conceptualize as appropriate a logical research question, frame it in terms of an operational definition, and develop a sound method for addressing the question. Students must be able to execute the plan and analyze the quantitative and/or qualitative data in a rigorous and systematic manner. Objective 1.5: Consultation and education competence: A rural behavioral health practitioner may often find that the most important function s/he can serve is as a consultant within existing systems. Students will demonstrate competence in distinguishing various types of consultation from direct intervention. Objective 1.6: Management and supervision competence: Students will become knowledgeable in the areas of organization and supervision of psychological services. Students will demonstrate this knowledge in their ability to provide formal and information supervision to less experienced students. They will also demonstrate this knowledge in their ability to function professionally in at least two different agency settings. Objective 1.7: Legal and Ethical competence: Students are expected to understand and abide by the APA Code of Ethics in all professional and academic settings. Objective 1.8: Cultural/Diversity competence: Students will understand the significant impact cultural differences have on clinical practice and be able to articulate those impacts in reference to specific clinical cases. Students will be able to identify cultural differences in an academic sense and demonstrate through program planning and service delivery that the differences are appreciated. Objective 1.9: Professional Values, Attitudes, and Behaviors competence: Students will show evidence in behavior and comportment that reflect the values, behaviors, attitudes of the field of psychology. This includes being honest, accountable, punctual, and reliable. Their development of a professional identity will begin to emerge and they will use resources, such as supervision and literature, to continue their professional development. Students will conduct themselves in a professional manner, including attire, across different settings. Students will recognize and work to resolve situations that challenge the adherence to professional values and integrity. Likewise, they will act to understand and safeguard the welfare of others. 2. The second goal is to ensure that the clinical training of students is thoroughly grounded in the broad scientific areas of psychology. Objective 2.2: Students will demonstrate knowledge in the following scientific, methodological, and theoretical areas of psychology: individual differences in behavior, human development, dysfunctional behavior and analysis, and professional standards of ethics. 3. Rural areas are characterized by unique needs that are not often met by service delivery models and therapeutic modalities developed primarily in urban settings. Therefore, a third goal is to promote an understanding regarding the impact of rural culture on clinical practice. Objective 3.1: Students will develop an understanding of the diverse forces at work in rural areas that can and do impact various aspects of human development and community functioning. Objective 3.2: Students will be able to articulate alternative service delivery models that may improve access and use of behavioral health services in rural areas. Objective 3.3: Students will be encouraged to seek internships in settings that serve rural populations. 4. Finally, the program seeks to nurture in students the spirit of lifelong learning. In the service of this goal, the faculty strives to create an atmosphere of inquiry in which students are encouraged to utilize a variety of means to answer complex questions related to human nature. Objective 4.1: Faculty and students will regularly engage in formal and informal discussions of current literature and pertinent research issues. Objective 4.2: Faculty and students will be encouraged to regularly attend conferences and workshops that promote critical thinking regarding issues pertinent to the broad field of psychology. 1. 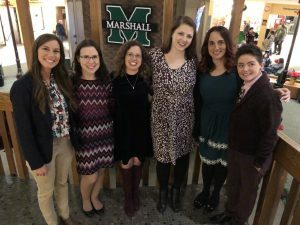 The primary program goal is to enhance the scope and quality of services available in rural areas by increasing the likelihood that doctoral students graduating the program will choose to work in rural and underserved regions, particularly those regions in West Virginia. Objective 1.1: As research has shown that students who are native to rural areas and who train there are more likely to return to those areas to practice, the department has determined that 50% of the slots be reserved within the program for residents of West Virginia and the surrounding region. Objective 1.2: Quality practicum placements are cultivated in rural settings to allow students to be trained in alternative service delivery models. 2. The second program goal is to promote an understanding of the impact(s) of rural culture, particularly Appalachian culture, on human behavior and behavioral health needs. Objective 2.1: Faculty and students are encouraged to develop research projects that permit the examination of the impact of rural/Appalachian culture. Objective 2.2: Faculty and students are encouraged to present their work in conferences and workshops that address issues pertinent to rural populations. Given the ongoing demand for doctoral level training in professional psychology, and the limited number of students that we will admit per year, the admission process for students is expected to be quite competitive. While we do not have required GRE or GPA minimums, it is recommended that scores on the Verbal section of the GRE not be lower than 150 and scores on the Quantitative section not be lower than 141. Likewise, it is recommended that applications have a minimum combined total on those two sections of 297. As a frame of reference, the average GPA for those coming into the program last year with a Masters Degree was 3.80 and for those entering with a Bachelors Degree, 3.64. Last year, the average scores on the Verbal and Quantitative sections of the GRE for students were 154 and 147 respectively, and an Analytical Writing score of 4.17. Click HERE to see GPA and GRE scores for previous years. While academic background, intellectual potential and professional experience and skills will be key selection criteria, we intend to recruit students who are committed to providing service to our region. Therefore, students should carefully consider their interests in rural and underserved populations before applying to the program. Application for Advanced Standing: Students who already have a Masters Degree in psychology, with a clinical emphasis, from a regionally accredited institution can apply for advanced standing in the Psy.D. program. To be considered Advanced Standing, applicants should have successfully completed graduate-level coursework consistent with the first 2-years of the PsyD program curriculum and be prepared to enter into our training clinic upon admission. Necessary coursework typically includes but is not limited to: Diagnosis and treatment planning; Interviewing; Psychological assessment of children and adults; Ethics; and some supervised practicum experience. Those who have masters degrees in other areas are still encouraged to apply but may be compared to the bachelor-level applicants as determined by the Admissions Committee. All applicants with graduate coursework in psychology successfully completed may be able to waive some coursework in the Psy.D. program upon approval of the faculty. Students who are admitted with advanced standing must select to enter in either a full-time track or a part-time track by the end of their first semester of enrollment. These tracks are described below:While academic background, intellectual potential and professional experience and skills will be key selection criteria, we intend to recruit students who are committed to providing service to our region. Therefore, students should carefully consider their interests in rural and underserved populations before applying to the program. Full-time track: Students who apply for advanced standing and the full-time track must commit to a minimum of 9 hours of coursework and practica per semester during the entire time of their enrollment. They must also commit to taking summer coursework as needed. As such, these students can anticipate completing the program in approximately four years. This would assume 5-6 semesters of coursework and a full year for the pre-doctoral internship. Students admitted to the full-time track can apply to change to the part-time track if their circumstances warrant such a change. Although students with extenuating circumstances may drop below full-time for a given semester without changing tracks, they should recognize that this change may impact the time it will take to complete the program. Students in this track desiring to attend part time for more than one semester may be required to switch formally to the part-time track. Part-time track: Students who apply for advanced standing and the part-time track must be able to document coursework and practicum equivalencies equal to approximately 36 hours of coursework required in the Psy.D. Program at Marshall University. Students in the part-time track may enroll either full-time or part-time in any given semester with the exception of the Residency Year, described in the next section. During the Residency Year, full-time enrollment is required. Students in this track should anticipate completing the program in no less than 5 years and no more than 7 years from the date of enrollment. Enrollment in the part-time track requires that the student meet with their academic advisor and create a timeline for completion of the program within the 7 year limit. * Please note that personal self-disclosure may be an aspect of this course. RESEARCH TRAINING: Our professional practitioner-training model includes a strong emphasis on applied research. The research sequence is structured as an integrated series of methodological seminars for practitioners. Building upon prior coursework in experimental psychology, introductory and intermediate statistics and psychometrics, students will learn more advanced strategies for conceptualizing applied research problems, designing appropriate strategies for data collection and using appropriate methods to analyze and interpret results. Course content will emphasize data based approaches to solving the applied problems that psychologists are likely to face in their professional roles, such as evaluating clinical outcomes, conducting needs assessments, validating clinical assessment tools, and developing and evaluating clinical programs. The sequence culminates with each student conducting a Doctoral Research Project supervised by a doctoral committee and research chair. PRACTICUM: Beginning in the first year, all students will participate in Vertical Supervision teams. These teams will consist of students and all phases of training, with the exception of internship, and will be lead by a faculty clinical supervisor. Students in the second year of training will complete two semesters of practica in the university training clinic. Third year students will complete two semesters of practica in approved community settings. Fourth year students will complete two semesters of practica at an approved rural site. Students should note that rural training sites require a substantial time commitment. These sites are often quite a distance from campus and may, in some cases, involve overnight stays. All practicum placements will be at training sites with which the psychology department has prior written agreements concerning training and supervision criteria. Additional information regarding practica can be obtained by consulting the website or contacting the Program Coordinator. Students who enter with advanced standing will have their clinical therapy and assessment skills evaluated during an initial semester placement in the training clinic. If they are able to meet the specific competency benchmarks set by the clinical faculty, they will be eligible to begin practicum placement with the third year community placements. They will be required to complete two semesters in an approved community setting as well as two semesters in an approved rural setting, in addition to the evaluation time spent in the training clinic. INTERNSHIP: All students will complete a doctoral internship in professional psychology at an approved site during the final year of the program. Internships in professional psychology are the equivalent of one year of full time training completed in no less than 12 months and no more than 24 months. APA-accredited internships are preferred but exceptions can be made, particularly for sites that are not accredited but are listed in the APPIC national match. A limited number of slots will be available in local internships but these are not sufficient to serve all students. All incoming students are strongly encouraged to apply for internships through the national APPIC match. RESIDENCY YEAR REQUIREMENT: All students will be required to complete an academic year of “residency”. The purpose of the residency year is to enhance students’ identities as professional psychologists, promote active, cooperative learning beyond the formal classroom environment and foster a sense of cohesion among students and faculty. During this academic year, students will be required to enroll for a minimum of 9 credits per semester (i.e. full time status), and will be required to participate in designated activities beyond specific course requirements. For all students (Route 1 and Route 2 admissions, part- and full- time) the residency will correspond with the year in which they are enrolled for doctoral research credits and 2 semesters of practicum. Required residency activities will include, at a minimum, seminars, coursework and doctoral research activities throughout the academic year. PROGRAM REQUIREMENTS The program is designed to be a five year-full time program for those entering with a bachelor’s degree. The first four years will include coursework and graded practicum experiences. The fifth year will involve the completion of a full-time full-year approved internship or a two year, part-time approved internship. All students entering at the bachelor’s level will be expected to enroll full-time each semester. Applicants accepted will be required to demonstrate that they have completed all BA level prerequisite coursework. As is noted above, careful evaluation of student progress is ongoing. Students are required to demonstrate ongoing development of academic and professional skills, as well as ethical judgment and sensitivity. Documented poor performance in any of these areas will be the basis of efforts by the adviser and program faculty to assist the student in forming and completing a plan for improvement; continued poor performance within specified time frames will be the basis for terminating a student’s enrollment in the program. Specific program curriculum requirements can be placed into the following categories: Undergraduate prerequisites, Foundational coursework, Foundational clinical training, Advanced professional coursework, Advanced clinical training and Research training. Additional coursework in psychology and in related disciplines is likely to strengthen a candidate’s application. ALL of your application must be received by no later than December 1 for priority consideration. Attention: The deadline for application to the PsyD program is December 1 for priority consideration. All materials must be received by this date. Please make sure you allow enough time for materials to travel through the postal system and arrive by this date.